It's just a fact. No one enjoys going on a diet. And salads and celery do not – in any way – stack up to cake and cookies. Anyone who says otherwise is either lying or … well, lying. But not everyone needs to overhaul their intake. Sometimes all it takes is some tweaking. So here are some simple ways to trick yourself into eating healthier (stolen from Women’s Health). – Cut your pancakes with cornmeal to add extra fiber and magnesium. Replace ¼ cup of flour with ¼ cup of cornmeal. – Boil your peanuts. I know, it sounds kind of crazy. 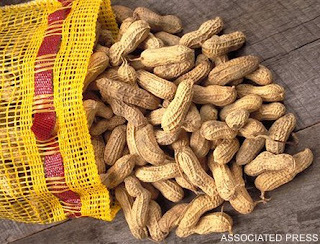 But researchers have found that boiled peanuts have four times more antioxidants than dry or roasted peanuts. – Grab blue corn tortillas next time you’re making nachos or fajitas. Researchers have found tortillas made from blue corn have a lower glycemic load than white corn tortillas, so your blood sugar won’t rise as quickly. They also have more protein and less starch. – Spice up your life. 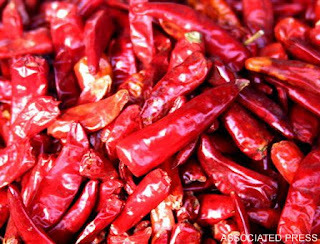 Scientists found overweight people have a better chance of losing weight after having a meal with chile peppers than after one that’s bland. – Add oregano … to anything. One tablespoon of fresh oregano has the same amount of antioxidants as an apple. – Beef up your burger … with vegetables. Before you toss that paddy on the grill, scoop out a hole in it and fill it with veggies. This will trick you into thinking you’re eating a massive meal when you’re really only eating your recommended serving of beef, which is 3 ounces. – Add oil to a warm skillet. Cold oil tends to soak into meats and vegetables, so you’ll eat more fat. 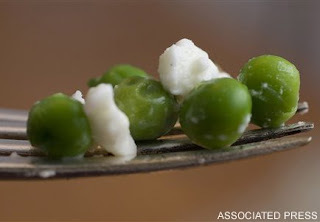 – Opt for softer cheeses like goat, feta, and ricotta because they're about a third lower in fat and calories than harder cheeses. Do you have any tricks of the trade? For more tips on healthy eating check out Women’s Health. This entry was posted by kate, on Thursday, July 30, 2009.